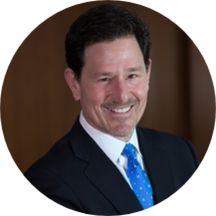 Considered an international leader in refractive, cataract, and LASIK surgery, Dr. Steven J. Dell is a board certified ophthalmologist and the Medical Director of Dell Laser Consultants. He has dedicated his career to enhancing vision correction in the US and abroad, and he strives to provide each patient with exceptional, customized treatment and unparalleled results. An award-winning eye surgeon, Dr. Dell has been a featured presenter at major ophthalmology conferences around the world, where he helps to train other eye surgeons in the latest techniques. Furthermore, he is an advocate of continuing education, and his research has led to the development of some of the most advanced technologies available. Through his relationship with the FDA and several ophthalmic equipment manufacturers, he is able to provide patients with state-of-the-art innovations years ahead of other practices. Dr. Dell believes he has a responsibility to help educate the next generation of eye surgeons, and he sponsors learning opportunities for budding eye doctors. These externships allow students to observe him performing groundbreaking surgical techniques and to develop practical experience in the field. Dr. Dell has also been the preferred choice for athletes, politicians, celebrities, and other eye doctors seeking their own eye surgery. With every patient the goal remains the same: to help each person achieve optimal visual acuity in the most comfortable environment possible.